Jeffrey Concepcion is the Founder and CEO of Stratos Wealth Partners, a firm which he launched in October of 2008. His intention was to create an organization to fulfill a need for sophisticated advisors and their clients. He constructed a firm with the infrastructure, resources and support necessary to allow advisors to focus on their core competency, advising their clients. Today, Stratos specializes in the practice and performance of financial planning and implementation services. The firm has a national network of distinguished, experienced financial planning practitioners spread throughout the country. Jeff is responsible for the acquisition, development and coaching of the firm’s expanding number of affiliated advisors from across the nation. His entire professional career has been spent in the financial services industry. 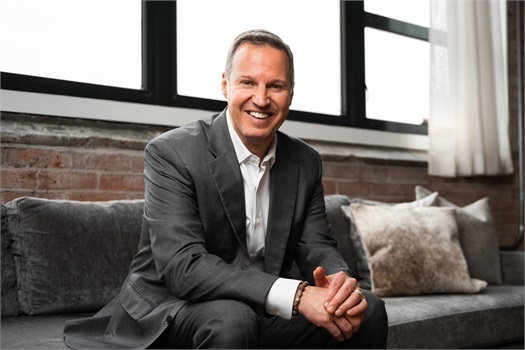 Prior to starting Stratos Wealth Partners, Jeff spent 22 years in senior management positions with Lincoln Financial Network, including being the Executive Director for the Eastern Region. He was responsible for fully one-third of the United States. He was then appointed Senior Vice President of Market Access and a member of the Executive Committee; where he was on one of only a handful of executives responsible for Lincoln’s entire retail financial services business. Jeff believes in the community where he lives and works. He has shared his time and expertise by sitting on a number of charitable boards throughout the Cleveland area over the years. Jeff served on the Board of Trustees at the May Dugan Center, Julie Billiart School, City Year, Dress for Success, E CITY, Leukemia and Lymphoma Society, Junior Achievement and Providence House. He earned his Bachelor’s of Arts degree with a major in political science from Trinity College. Jeff resides in Solon, Ohio with his wife and two children. * Jeff Concepcion is not affiliated with LPL Financial.